The air was warm and clean; it cleared some of the fumes from his head. He walked the brightly lighted slidewalks, adding his own pace to their own ten-miles-per-hour speed. It occurred to him that every city in the world had slidewalks, and that they all moved at ten miles per hour. The thought was intolerable. Not new; just intolerable. Louis Wu saw how thoroughly Beirut resembled Munich and Resht … and San Francisco and Topeka and London and Amsterdam. The stores along the sidewalks sold the same products in all the cities of the world. These citizens who passed him tonight looked all alike, dressed all alike. Not Americans or Germans or Egyptians, but mere flatlanders. In three and a half centuries the transfer booths had done this to the infinite variety of Earth. They covered the world in a net of instantaneous travel. The difference between Moskva and Sydney was a moment of time and a tenth-star coin. Inevitably the cities had blended over the centuries, until place-names were only relics of the past. San Francisco and San Diego were the northern and southern ends of one sprawling coastal city. But how many people knew which end was which? Tanj few, these days. Pessmistic thinking, for a man’s two hundredth birthday. …Harwood blinks. ‘It’s what we do now instead of bohemias,” he says. Remember you well, Marc. And oddly enough I reread All Tomorrow’s Parties not long ago, and remember that passage well (if memory serves there’s a very similar passage somewhere in Zero History as well). What I liked about the Niven passage was the fact it picked up on a trend that probably wasn’t apparent for another 20 years or so, but Gibson picks up on the mechanism as well as the trend. I disagree. The trend – or at least the potential for the trend – was evident even 20 years ago. you’re planning a career as an oracle, but no way to evaluate literary merit no matter what the genre. Don’t worry – I’ve always found the argument SF should be predictive a deeply odd one, and one that completely misunderstands what a lot of SF is about. But that doesn’t mean older SF doesn’t sometimes throw up arresting and oddly familiar images of our own world. And you’re right, of course: anxiety about the homogenising effects of progress is a concern that goes back much further than 20 years (or even 40 to when Niven was writing). But I still think it’s interesting to see contemporary concerns and trends reflected so clearly in something from four decades ago. But, did you like the book? To be honest I haven’t finished it yet. But what I’ve read is interesting, not least because I read it 30 years ago as a teenager and loved it, and as a result some sections and details are incredibly familiar and then great chunks aren’t at all. But I’m enjoying it (although I’m not sure it’s travelled as well as some of the other books I’ve reread recently). And Lee – I should probably point out that when I talked about predictability not being what SF was about I meant predictability in a narrow sense. 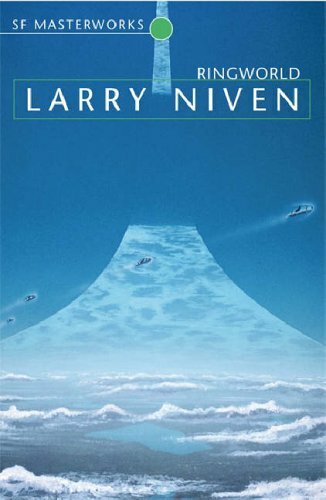 Obviously a great deal of SF is engaged in the process of trying to imagine the future, often in quite specific ways, and that process is part of what makes it so fertile and so interesting. But I’m resistant to the idea that the question of whether it gets it right or not is somehow a test of its value (which is, I suspect, what you meant in the first place). Yes, that’s what I meant and didn’t express clearly i.e. predictability in the sense of getting it right or not. Imagining the future is what each of us does in great or small ways, and I don’t know where we’d be without the ‘what if’ which probably underlies all fiction.